If you’ve found your way to our site, I’m assuming that’s what you are. We know many of you–maybe from the trail or the rocks, maybe from our days at GORUCK, maybe from the military. For those that we don’t know, we are equally excited to welcome you into the Origins Training Group family. If you do not feel that you fit into any of the above categories, don’t worry one bit. This new thing we are doing is made for everyone, so long as you have a desire to learn more about the world out there beyond the sterile existence of normal life that we find ourselves trapped in on a day-to-day basis. What a Vietnam vet friend of mine refers to as “the fishbowl.” Outside of that safe but dull world, there certainly lies danger and risk, but there also lies great wonder, beauty, knowledge and boundless opportunity to grow. For me, that world starts with the wilderness. Wilderness not only demands that we understand it, with its beauty and danger, in order to survive and reap its gifts–but it requires us to continually strive to master the greatest wilderness of all–the one that lies inside of us. No person can ever truly master the wilderness, but by learning to master our own thoughts, emotions, decisions, and actions, we can find our place in the wild. Do this, and we are better suited to face the world around us, and the challenges that arise from deep inside ourselves. For most of human history, we have evolved hand in hand with the wild. By reclaiming the skills of finding our way in the untracked woods, surviving off of the land, and facing other challenges that arise when we are outside of the fishbowl, we can reclaim a lost part of ourselves. A part that is calm and confident, strong and decisive. A part that allows us to be the person we are truly meant to be, weather in the backcountry, the boardroom, or in an emergency situation. At Origins Training Group, we are Special Operations veterans and outdoors professionals. We have dedicated our lives to stepping far outside of the fishbowl and testing ourselves–starting with some of the worlds most rigorous and challenging training, and extending to life-and-death missions ranging from search-and-rescue ops on these very shores, to complicated unconventional combat missions in the most austere environments on the planet. We have had the benefit of a training tradition that stresses creative decision making, self-confidence with humility, and the necessity of both self-reliance and team work. Constant self-evaluation and improvement is the habit of our community, and much of that process takes place in the proving ground of the wilderness. Why Origins Training Group? In my own personal study of history, I have found it significant that our origins in Special Operations–particularly Army Special Forces (Green Berets)–has much of its roots in Native American traditions and skills. You can see it in our symbolism: the arrowhead regimental patch with the jagged lightening slashes on it. The crossed arrows which make up our branch insignia are the same that were worn by the Army’s Indian Scouts of old, but the real connection goes deeper than that. Special Forces soldiers, Rangers and the like, have always needed to thrive alone or in a group in the dark and unforgiving tracts of the wild, and in the fearful and challenging parts of the mind. 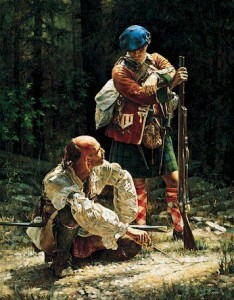 In the early days, the unconventional soldiers of this continent learned much from the natives to illuminate the dark and unknown parts of the woods and the conscious, and many of those skills persist in our training to this day. In due turn, this nation has developed a great tradition of fascination in the wilderness and outdoors pursuits, even as we have moved away from wilderness in our culture. The origins of that fascination, and the key to reclaim our place in it, lies in our roots in both ancient wisdom and certain military tradition which has grown on that wisdom. At Origins Training Group, we endeavor to provide you the best wilderness training and self-development possible, and what better way then to share with you the ancient techniques preserved in our own training, and the experiences we have had serving our country in our capacity as Special Operations soldiers. Our courses are for anyone interested in learning and challenging themselves to grow, regardless of your background. When you come to one of our events, you will be taught a well planned and thorough wilderness curriculum, but you will also be immersed in a lively scenario requiring you to think on your feet, be self-sufficient and team oriented, and to accomplish a mission based on actual Special Operations doctrine. When you come to train, you will enter a fictional borderland between countries with complicated relationships, conflicts, and cultural considerations, and like a Special Forces ODA or “A-team” it will be up to you to use all your creativity, knowledge, and resources to succeed in your mission–for your country, and for the oppressed. We will give more insight into the overarching scenario that runs throughout our courses, and updates on how it evolves based on the actions and achievements of you, our participants. In addition, we have begun to work with various tribes to help preserve native techniques and tradition, and bring that benefit to our programs as well as tribal members. This will be an exciting journey, and growth will be constant. Come join us soon in the mountains, and please reach out to us via Facebook, email, or our other forums to talk, ask questions and share ideas. On behalf of myself, co-founder Brian, and the rest of our staff and family, welcome to Origins Training Group.